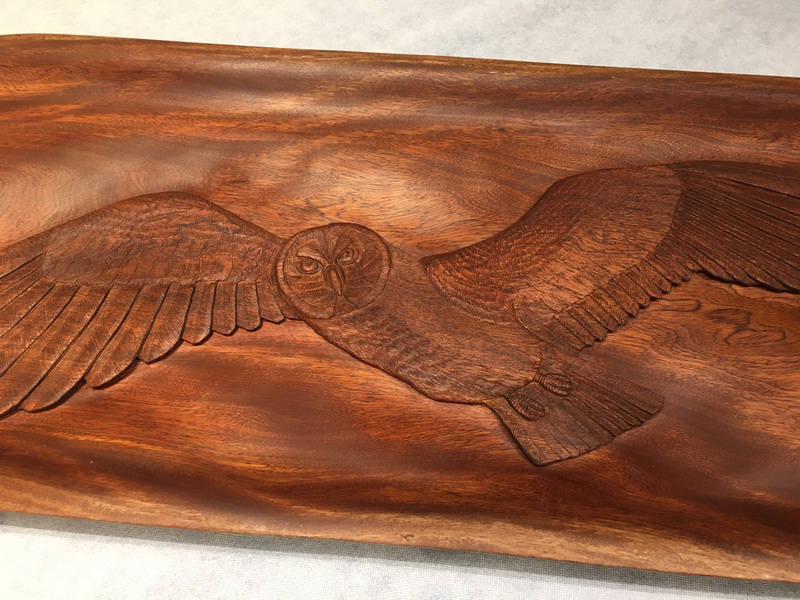 Scott hare moved to the Big Island of Hawaii in 1979 and began to carve. He now has an abundance of knowledge about and experience with countless varieties of wood. He has been involved in harvesting, cutting and planting of trees and especially likes to make use of wood that would otherwise be left to rot. 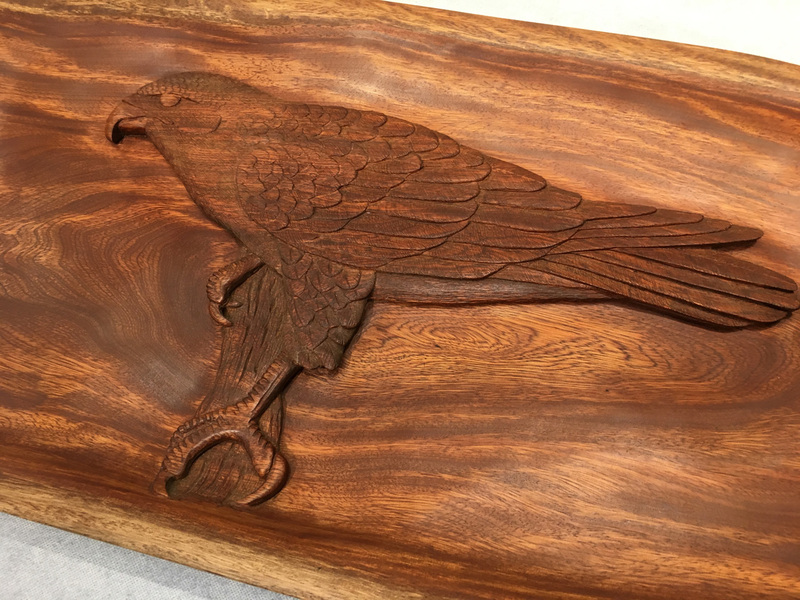 His portfolio is rich with a variety of impressive projects, including carved calabashes, full relief murals and headboards, ornate frames and doors, miniature and full-sized tikis, and sculptures of whales, dolphins, Polynesian faces and highly detailed flowers and birds. When Scott is not working with wood, he is either playing soccer or working on his six acres, turning his land into a botanical garden of tropical plants and trees. Scott uses Watco or lacquer on his pieces, which he does not consider food safe. Freshen pieces up with Renaissance Wax or mineral oil.